This beautifully renovated mid-century home features a living room with vaulted ceilings, amazing views from the floor to ceiling windows and a wood burning fireplace. On the main level you will find the newly remodeled kitchen with granite countertops, master suite, two bedrooms and a bathroom. The lower level has a large family room, den, bedroom, bathroom and laundry room that could easily be converted back to a kitchen for possible dual living. 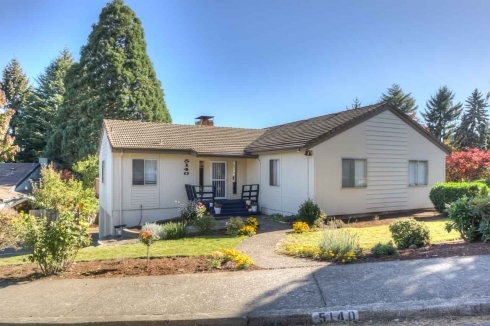 A great buy in South Salem!